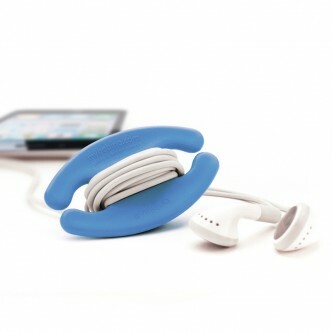 Travel accessories make excellent gifts, whether for a work colleague, family member or friend (even yourself!) and sometimes it’s the small, inexpensive items that make a huge difference to life on the road. Here are 10 of my favourites, some of which are under A$10 and most are under A$30. You’ll find some items at your local newsagent or luggage store, and others online. If you’re quick, you can still get delivery before Christmas from Australian online retailers. 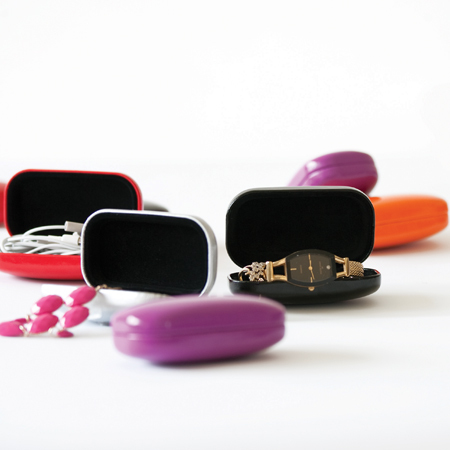 Like a mini glasses case the Safe Keeper by Annabel Trends is excellent for keeping little things safe while travelling. Store messy items like earphones so they don’t get tangled, or put on the bedside table in your hotel room for your watch, rings or other jewellery you remove while sleeping. Not only will they be all in the one place, if you have to pack in a hurry, you can grab the Safe Keeper, knowing all your little valuables are inside. Available at newsagents, Howards Storage, travel stores or online from Annabel Trends. A$5.95-$7.95 depending on where you buy it. 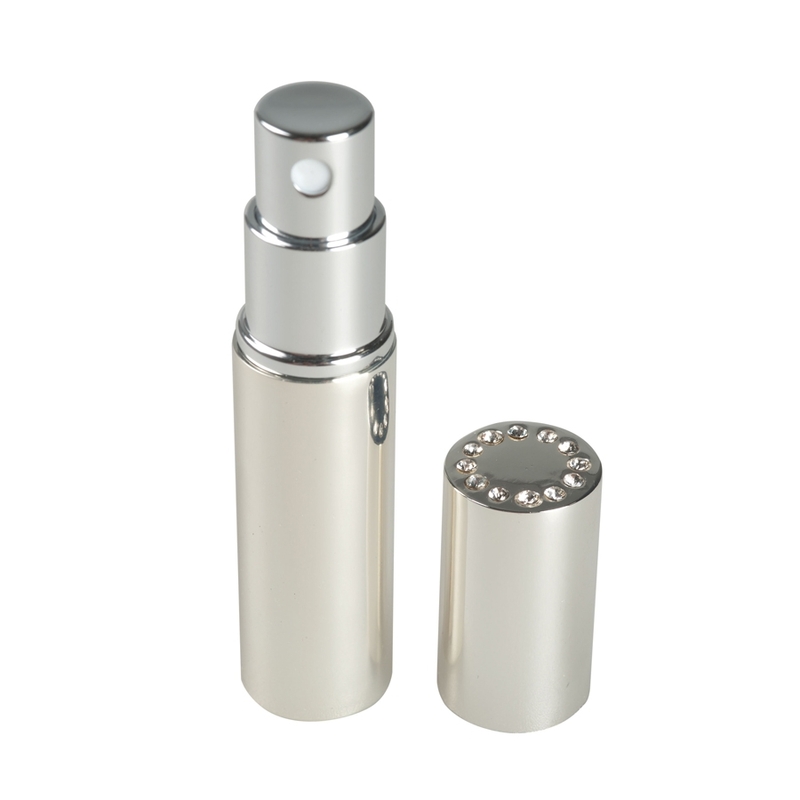 For years the heaviest thing in my cosmetic bag was perfume bottles, as few fragrance houses make miniature sprays for travelling. So these little atomisers are a winner. Fill directly from your existing perfume or aftershave bottles. The one from Annabel Trends comes in different colours so you can decant several of your favourite perfumes and still know which is which. Available at some chemists, luggage stores and Howards Storage A$14.95. Ciao Bella Travel has a beautiful silver model for A$16.50 and Go Travel brand also has one which is available at luggage stores. Lip balm, mints, eye mask, tissues, pen, iPod, Kindle. There’s a lot to get lost in the airline seat pocket, which is why I love this pouch by Ciao Bella Travel. With four separate zippered compartments there’s a place for all the small personal belongings you wish to keep at hand on a flight. 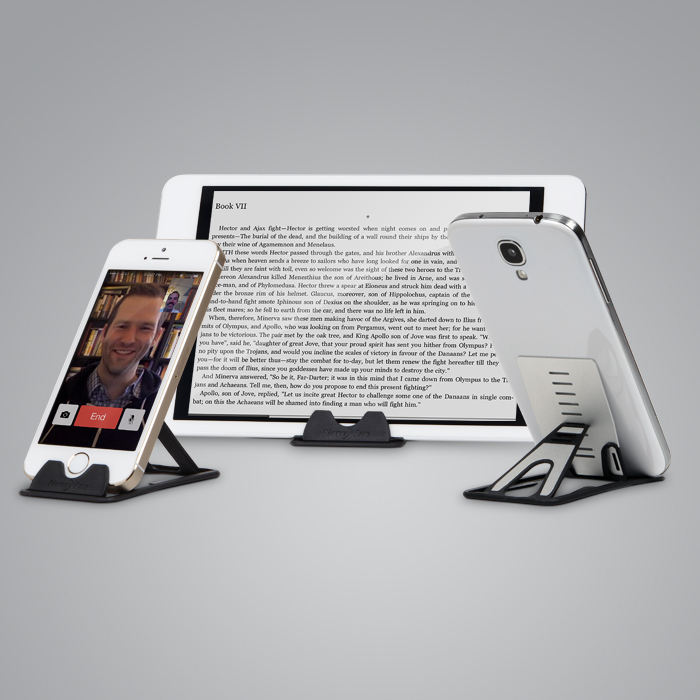 It will even fit a kindle or iPad mini. Just pull it out of your handbag or backpack and pop it in the seat pocket. 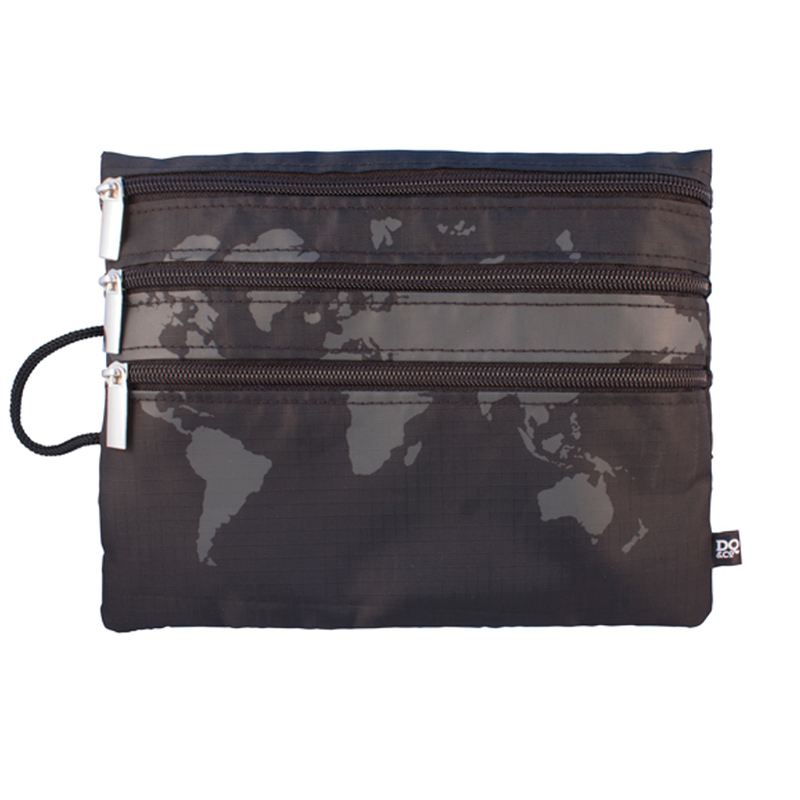 Available in a range of colours or this world map design from Ciao Bella Travel. A$19.95. When trying to minimise the amount of clothes you take on a trip, jewellery becomes an essential accessory. I have some bulkier necklaces that don’t fit in a jewellery roll, which is why I love this organiser. It has six individual zippered pockets with see-though fronts and you can slide larger pieces between the pocket flaps. Available online from Yazzii. A$29.95. 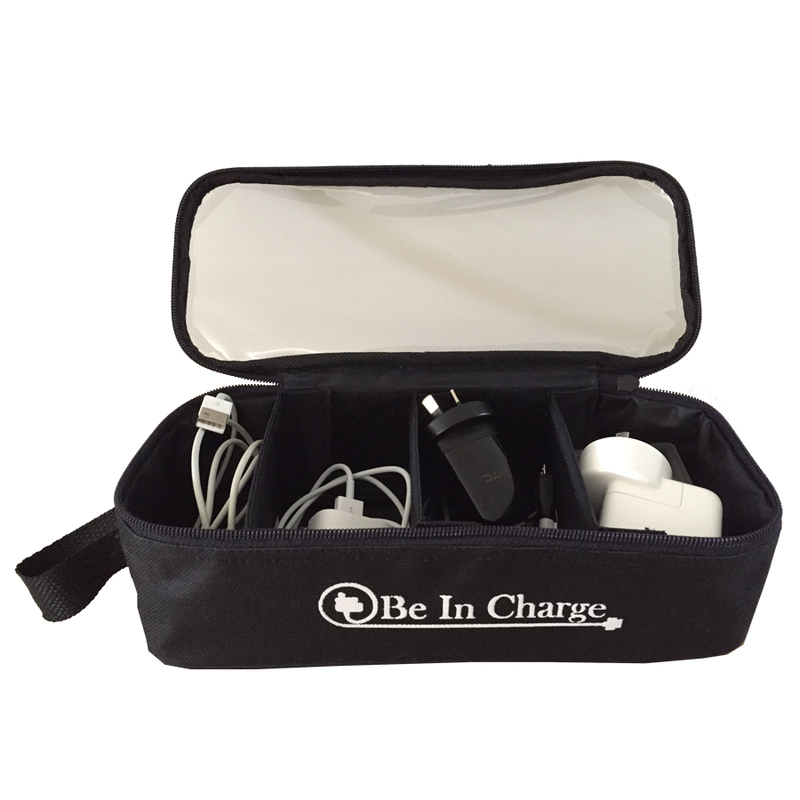 A bag for keeping all your chargers, cables and electrical adaptors together when travelling is essential. I personally like this double sided one from LaPoche, available in a variety of colours from Travel Gear, who offer free shipping in Australian and New Zealand. A$26.95. Want to go for a run from your hotel and need to carry your room key and mobile phone, but don’t have any pockets in your running gear? Then you need a hipS-sister. Awkward name, but fabulous invention, it’s basically a stretchy fabric waistband with pockets. 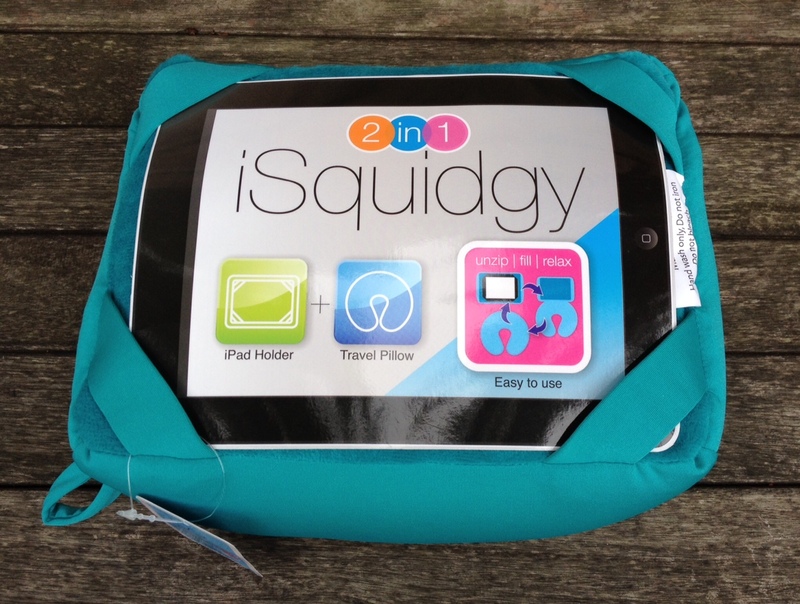 It has a secret top-loading front pocket (great for phone or iPod) and front and back zippered pockets. Although a little pricey, it is well made and delivery is free in Australia when ordered online through Hips-sister. $49.00. OK, so that’s 10, but if you don’t find anything you like above, I also recommend the Plox 6000 Powerbox portable charger for charging phones and tablets on the go. You can read my review of it here. 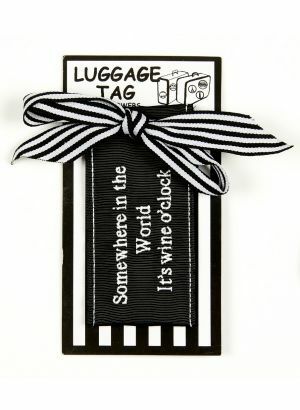 Do you have a favourite travel item that would make a good gift? Let me know in the comments. Disclaimer: All products mentioned above have been purchased by me. This entry was posted in Shopping, Travel, Travel Accessories & Gadgets, Travel Gifts and tagged charger bag, jewellery organiser, packing accessories, plane organiser, portable charger, travel accessories, Travel gadgets, travel gifts, travel pillow, travel storage organiser, travel waistband. Bookmark the permalink. I like the look of the plane organiser, great idea. Particularly good on low cost flights where they don’t clean the plane that often. I’ve found, and felt, some unsavoury things when I’ve put my hand in the seat pocket. Anything that helps me avoid that experience again, I’m in! Yes, the seat pocket can be gross! The organiser is great. I used it on a plane recently that didn’t actually have a seat pocket, so glad I had it. 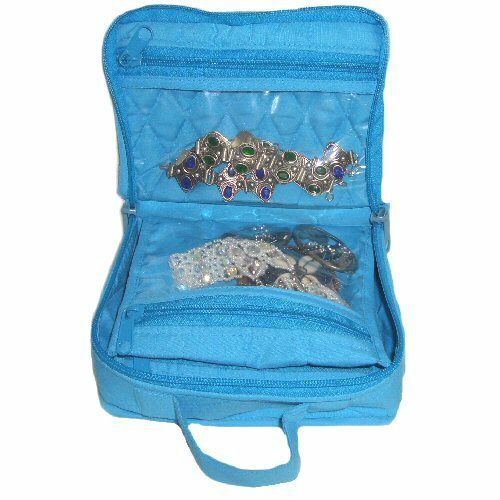 I also have the mini storage keeper – I use it for jewellery all the time! It’s great isn’t it Julie! I’m a recent convert, but always take it with me now. Oooh, some great ideas there. Thanks Briar – haven’t finished Christmas shopping yet! You’re welcome Lee! I’m sure you will find most of those items in NZ too. Have a wonderful family Christmas.